Queen Elizabeth II of the United Kingdom has a massive jewel collection, with tiaras featuring all sorts of precious stones. But one notable stone lacking from the queen’s tiaras is the amethyst. That wasn’t always the case, though; once upon a time the Windsors did have amethyst tiaras, including this substantial diadem. The tiara belonged to the biggest jewel fan of the family: that’s right, our lady of the week, Queen Mary. Rather than having the piece specifically commissioned, May snapped these amethysts up at a charity auction. 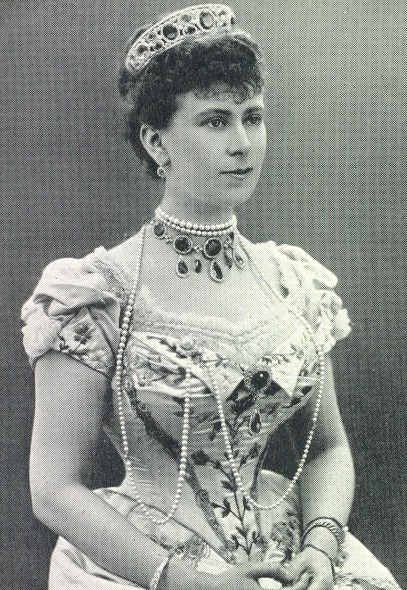 She was photographed in the tiara at least twice before apparently giving it to her daughter-in-law, Queen Elizabeth. Unlike her mother-in-law, the Queen Mum was never photographed wearing the tiara. Supposedly, when she offered it to her own daughter, Elizabeth II, to be included in the royal collection, the queen refused (for reasons unknown). Instead, the tiara was put up for auction, leaving the family entirely. The matching pieces, including earrings and a brooch, were also sold. The necklace was later photographed on Vogue editor Anna Wintour at a gala at the Victoria and Albert Museum in London in 2007. So why get rid of one of May’s tiaras, especially when there aren’t any other amethyst tiaras (that we know of, anyway!) in the family collection? Maybe the tiara wasn’t deemed to be up to the usual standards of craftsmanship for a royal collection piece? Maybe the queen simply doesn’t like amethysts? Her collection does include one important demi-parure of diamond and amethyst jewels, the Kent amethysts, but that set doesn't include a tiara. It’s also possible, though, that Elizabeth simply doesn’t have as much use for an amethyst tiara as past queens and consorts did. 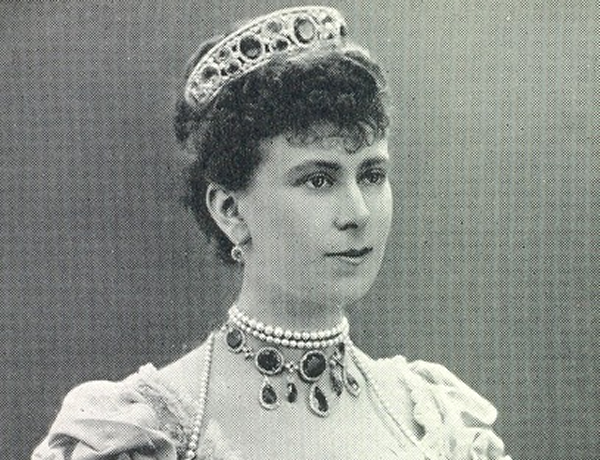 Amethysts are traditionally mourning jewels, and when families still regularly observed the strict mourning protocol of earlier centuries, royal ladies needed to have an amethyst tiara on hand. Things are quite different today. Ultimately, we may never know Elizabeth’s real reason for ditching this modern purple sparkler.